Judiciously placed lighting can showcase the most attractive features of a landscape. Who doesn’t love lights which show off the beautiful architectural features of a home, or a single beam which makes the arms of a palo verde tree stark against the backdrop of a wall? One of the hottest new looks in lighting is strands of globe lights, such as those which cross 83rd Avenue over Peoria’s ‘P83’, the ‘pedestrian-friendly regional destination’ that is home to the Peoria baseball field, for one thing. 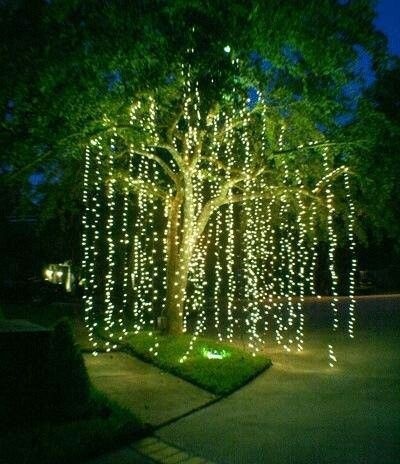 The festive decor is one that can be copied in the backyard with a few strands of globe lights.